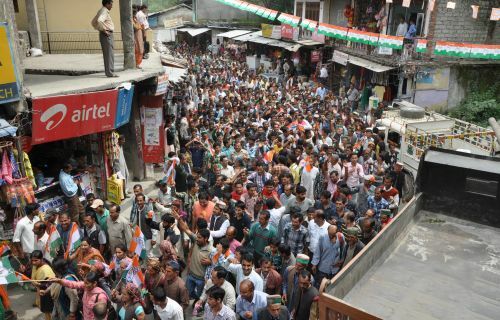 Chopal Block Congress, in its meeting at Nerwa put a united face, where thousands of Congress workers participated. Prior the assembly poll, it is touting as a rehearsal for the Congress cadre, which will try to wrest the seat this time again from the BJP. 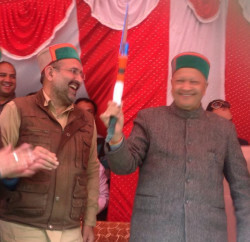 Chopal assembly segment is considered as a strong bastion of Congress, where party has enjoyed overwhelming support from the last five decades. BJP only twice could win this seat and Congress distracters as independent candidates have won the seat few times, but it was Congress, who has successfully retained electorates over the decades. Including Chopal MLA Subhash Manglate, many Congress office bearer and workers attended the meeting.